IR: A recent arrival here at Mignonne is our lovely and comfortable, Chesterfield couch, and we'd love to see something great happen with it. A classic piece, complete with all-over tufts, this puppy is a star in the making, but don't take my word for it, just take a look at what can be done! Shown here in four different upholstery ways, the Chesterfield couch is a classic that may be styled, and even upholstered with your own unique flare. 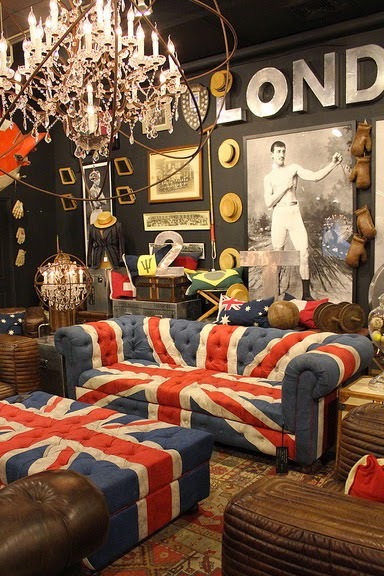 Picture One, a fabulous example of custom upholstery in a Union Jack pattern. Perfect for the Vivian Westwood types. This shining example was found on Flickr. 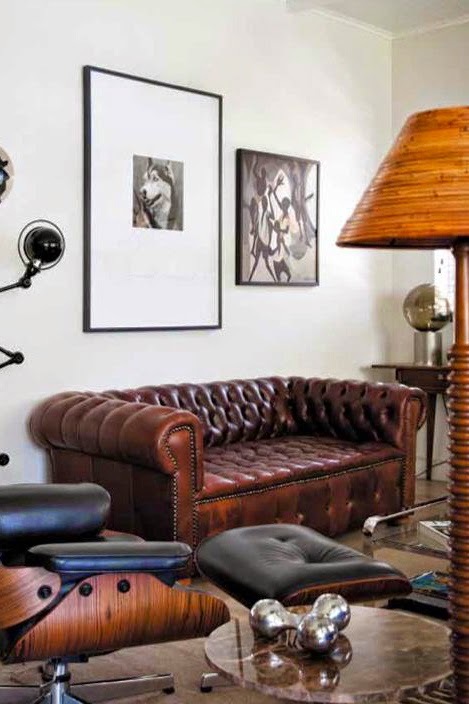 Classic in rustic leather, the Chesterfield couch, as you can see, can be just as at home in a mid century room like in Picture Two (found on No. 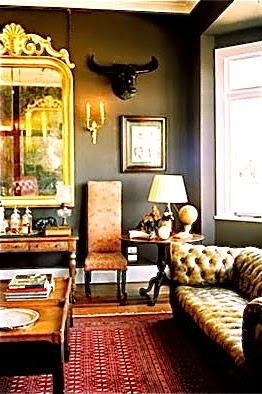 19 blog), as it is amongst the bohemian gothic decor of Picture Four (found on La Decorista blog). 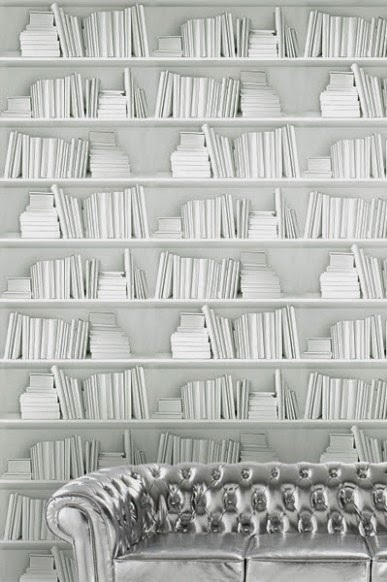 Don't have a Chesterfield to have reupholstered? Don't worry! We have one in stock for you here under available couches/settees to transform, these are just a few ideas, but with a versatile and functional piece like this one, the options are vast. Email us at quotes@mignonnedecor.com to start a conversation about our Chesterfield or other upholstery projects you have in mind.